The American Human: Ruth Marcus: Democrats Demagogue by Being Right on Equal Pay! 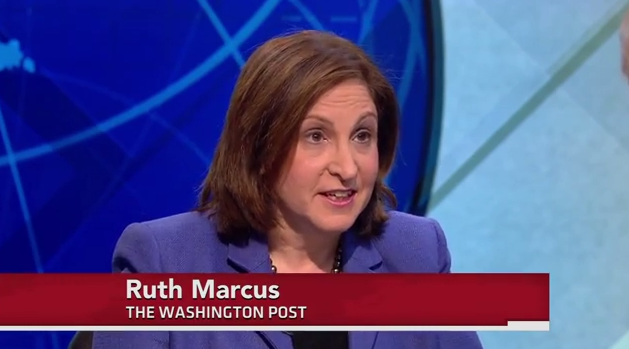 Ruth Marcus: Democrats Demagogue by Being Right on Equal Pay! I'm totally going to trust this woman's logic from now on. Before you start checking the byline at the top of this piece and emailing the editor that there’s been a terrible mistake, let me be clear: I support ensuring that women receive equal pay for equal work — I have a bit of a vested stake in that issue myself. Unequal pay remains a problem, although not at the women-earn-77-cents-on-the-dollar level of Democrats’ sloganeering. Most relevantly, I’d vote for the Paycheck Fairness Act in the unlikely event that someone elected me to Congress. But the level of hyperbole — actually, of demagoguery — that Democrats have engaged in here is revolting. It’s entirely understandable, of course: The Senate is up for grabs. Women account for a majority of voters. They tend to favor Democrats. To the extent that women — and in particular, single women — can be motivated to turn out in a midterm election, waving the bloody shirt of unequal pay is smart politics. Waving the bloody shirt of unequal pay is smart politics, but don't do it, Dems. Much better to wave the slightly soiled shirt of unequal pay. Otherwise, who could tell you apart from the Republicans, other than by, I don't know, the policy positions each side holds? You know, the situation where you're in favor of women and the Republicans consistently AREN'T. Harry Reid is drafting an apology as we speak.